What is your innovation style? While facilitating more than 100 innovation projects over nearly a decade, I noticed different people had very distinct innovation styles. 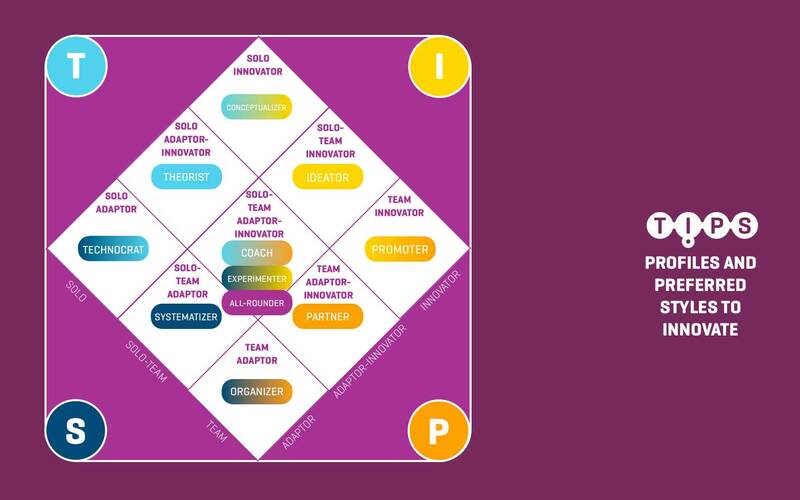 While working out Thinkergy’s innovation people profiling method TIPS, I developed a scheme to capture and systematise these personal innovation styles of different people. Thereby, I blended central aspects of a well-known innovation theory with my practical experiences and personal observations in real-life innovation projects. In today’s column, let me share with you how understanding these two determinants can help you to identify your own innovation style. The acronym TIPS derives from four basic dimensions that energise people’s actions — T as in theories, testimony and the truth; I as in ideas, imagination and innovation; P as in people, play and party; and S as is system, structure and status quo. These four dimensions represent the corners of a 2×2-matrix that forms the fundament of the TIPS profiling method. In addition, TIPS also keeps track of a person’s preferred styles of thinking, working, interacting and living. These four personal styles are laid on top of the four basic dimensions to form the TIPS profiling map. With a questionnaire, we determine a person’s individual position within this map and identify which of all in 11 innovator profiles describes their personal styles and basic energies best. But how can we help you find your innovator style? To answer this question, let’s first take a look at the two factor that collectively define your personal style to innovate. … others would rather ideate alone. Last but not least, there also seem to be some people who at times enjoy “going solo” but at other times crave the cross-fertilisation of other team members. How about you — would you rather generate ideas alone or brainstorm together with others on a team? Or are you one of those who can comfortably shift between going solo and working with team members? Adapters are people who like to adapt ideas. They are interested in resolving problems in tried and tested ways. Adapters “innovate” by improving something that already exists in order to make it slightly better and more efficient. As a result, they incrementally improve or evolve the status quo. On the other hand, innovators prefer to shoot for ideas that are really novel, original and meaningful. They spot problems and wider unmet needs they perceive as opportunities to create new solutions that are different and useful. Thereby, innovators enjoy pushing for distinct evolutionary innovations or even game-changing revolutionary innovations that radically challenge and change the status quo. While I embrace Mr Kirton’s theory in most parts, I disagree with its binary view of people. Why? Can you imagine there are people who at times like to adapt ideas and at other times enjoy pushing for bold new ideas? Well, according to my observations these people do exist — and we capture them in a third classification that we call adapter-innovators. What about you? Do you prefer to improve on existing solutions (adapter) or come up with unique, valuable and truly novel ideas (innovator)? Or do you see yourself as an adapter-innovator who feels at home with both fixing and improving things that already exist and creating the truly new? 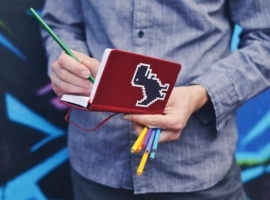 Solo Adapters enjoy working alone in their office on incrementally improving documents that already exists. Think of a bureaucrat in a government agency formulating a policy or updating a handbook or manual. The corresponding TIPS profile is the Technocrat. Solo-Team Adapters relish fine-tuning and optimising the multitude of cogwheels that form a well-oiled organisational system. Thereby, they produce many ideas for incremental improvements both alone and together with others on the team. These people who often make it to the corner offices of mature, asset-driven corporations identify as Systematizer within TIPS. Team Adapters are called Organizers within the TIPS profile typology and enjoy resolving operational problems — for example, in manufacturing or a service organisation — by working together with others on a team. Solo Innovators relish working out abstract concepts and new solutions alone in a coffee shop or quiet corner of their office. These people who often work in management consulting are labeled Conceptualizers. Solo-Team Innovators take great pleasure in shooting for really bold or even radical ideas by alternating between working and ideating alone and bouncing ideas off other team members. Such radical change-agents are called Ideators in TIPS (and yes, I am one of them). Team Innovators are often found in advertising, marketing and public relation roles and are called Promoters in TIPS. They love to brainstorm for bold new slogans and promotional campaigns together with other team members. Imagine a career researcher or scientist sitting in an ivory tower resolving some smaller abstract problems or breeding over a bolder intellectual challenge and you get a feeling for the style of a Solo Adapter-Innovator. Within the TIPS profiling universe, we call these abstract logical thinkers Theorists. Team Adapter-Innovators really don’t care if they work on resolving an operational issue or brainstorm for a bold new service idea as long as they can do it together with others on a team. Partner is how we call this most social of the 11 TIPS profiles. Last but not least, Solo-Team Adapter-Innovators are the most flexible types of all. Depending on the situational context, they feel at ease working alone or together with other team members on a challenge, and they enjoy both improving an already existing solution and creating something really new. And fortunately, three TIPS Profiles exhibit this highly flexible innovation style — Experimenters, Coaches and All-Rounders. Today and two weeks ago, you learned about 12 action steps that you should take after you’ve been TIPSed as an individual. But what if you are a manager who profiled your entire team? We will discuss what actions you should take in that case in a separate article sometime soon. confirm your registration (by clicking a link in an email sent to you). Then, invest USD 88.88 in yourself to receive your personal TIPS test coupon. Next, complete the TIPS online profiling test. Finally, enjoy your personal TIPS profiling report (36-pages) with your profiling result and your TIPS profile. Are you interested in a TIPS training course for your company or work team? Or could you imagine introducing TIPS to your clients as a licensed trainer or coach? Contact us and let us know how we may help you. © Dr. Detlef Reis 2014. This article was published in parallel in the Bangkok Post under the same title on 9 October 2014. Previous article Are you really who other people think you are? Join the team! Interested in becoming a trainer or licensing our products?